The multi-million rand project – a first in Africa – involves four countries: Kenya, Tanzania, Swaziland and South Africa. The project focuses on the following areas: (1) raising awareness about lung cancer in KwaZulu-Natal, (2) conducting a needs assessment to identify barriers to lung cancer patient access, (3) referral, diagnosis and treatment, assessing the risk factors associated with lung cancer in KwaZulu-Natal, and (4) assessing the factors determining progressive utilisation of palliative care services by patients with cancer in both the public and private sectors. Funded by the Bristol-Myers Squibb Foundation (BMSF), the programme’s Principal Investigators are epidemiologist and UKZN senior lecturer, Dr Themba Ginindza, and Medical Co-Director of the AMPATH Oncology and Haematology Programme at Moi University in Kenya, Professor Chite Asirwe. Ginindza said the collaborative project includes local communities and ministries of health in Kenya, Swaziland, Tanzania and South Africa. ‘The team will conduct novel research focused on breaking barriers and implementing much needed interventions in these regions,’ he promised. 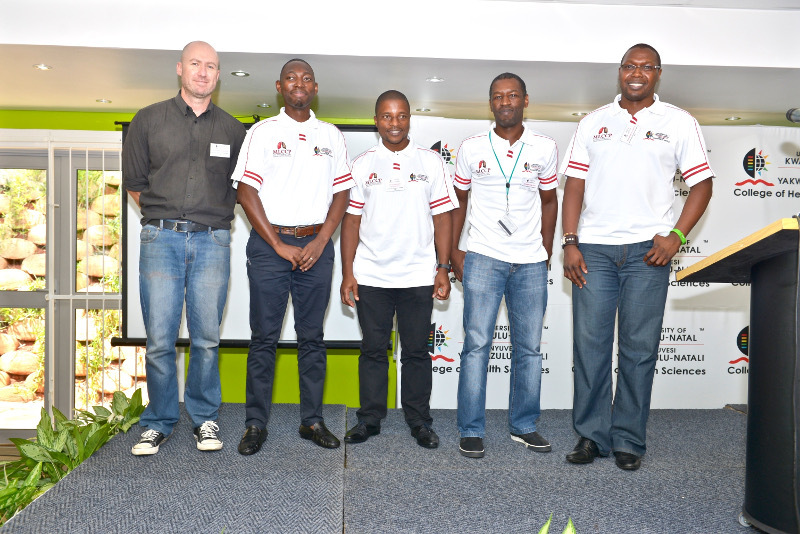 The KwaZulu-Natal-South Africa arm of the project is led by a team of five academics from UKZN, including Ginindza. ‘The aim of the project is to assist in packaging cancer care services in a manner that is responsive to the needs of the population. With this initiative we will have better insights into the state of the oncological services and cancer patient care in the province,’ said Damonti. Said Asirwe: ‘Many African countries lack understanding of the disease’s epidemiology and this makes it difficult to implement tailored prevention strategies. As a result, many sufferers of lung cancer present to health facilities very late, making treatment and care less effective and this delay often results in death,’ he said. The project will benefit five KwaZulu-Natal communities – Umlazi, Chatsworth, South Durban Basin, Imbali and Sobantu – located around hospitals which offer oncology services. The UKZN research team has forged partnerships with the Department of Health and other relevant community stakeholders to ensure that this initiative is a success. The launch was attended by Bristol Myers Squibb Foundation South African Director, Ms Phangisile Mtshali-Manciya; UKZN Vice-Chancellor, Dr Albert van Jaarsveld; Associate Professor, Public Health Medicine (Co-PI) UKZN, Professor Ben Sartorius; Director: Epidemiology, Research and Knowledge Management KZN Department of Health, Dr Elizabeth Lutge; local hospital CEOs and Co- Principal Investigators; Dr Khumbulani Hlongwane, Mr Nkosinathi Jafta and Mr Siyabonga Dlamini.